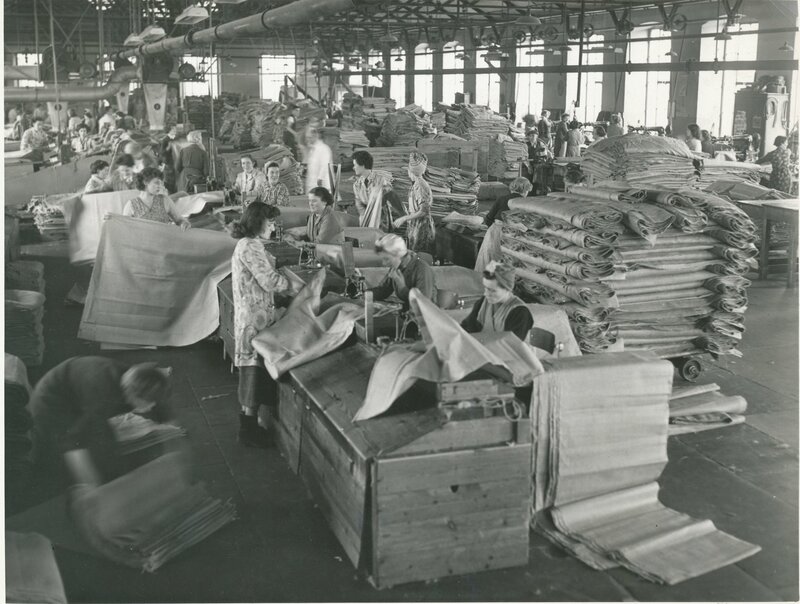 This image shows woven jute material being sewn into sacks. 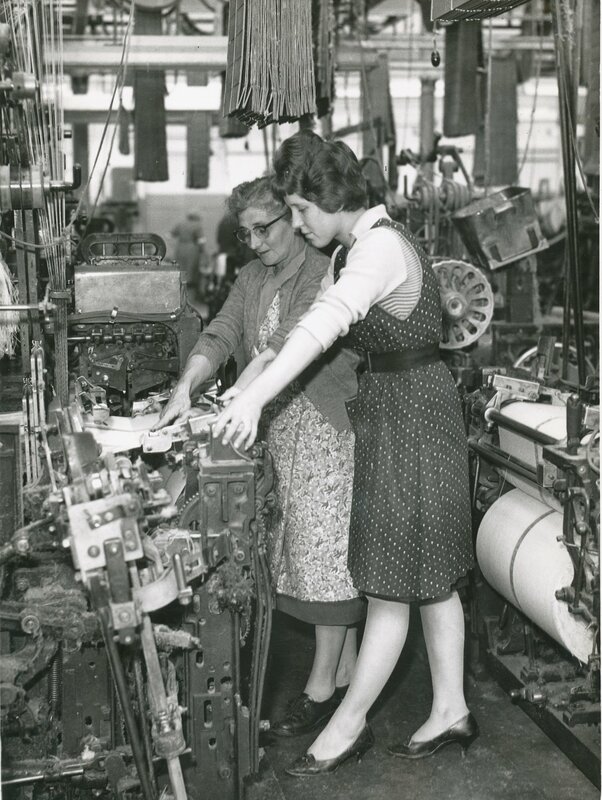 As this photograph demonstrates, the work force was predominately female. 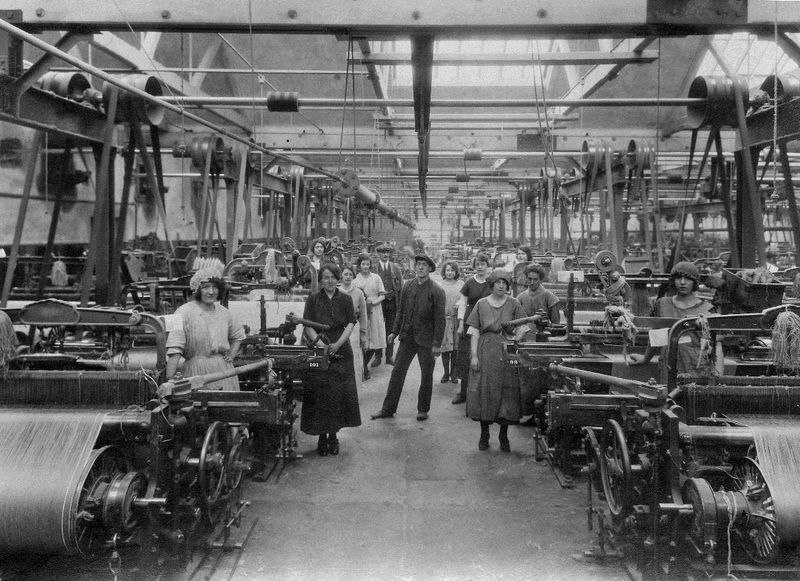 Here the women are working in pairs with one woman known as a ‘spreader’ arranging the material and the other sewing. Sacks were a major jute product, used in a variety of industries, to transport goods such as tea, grains and chemicals all over the world. Photograph, black and white, part of a collection relating to Jute sack sewing, branding and bundling.Photograph bears typed gummed label on reverse which reads, 'A1. View of sewing flat. Photo reference No. 5106'. Also bears photographic stamps which reads ' Norman Brown and Company. Members of the institute of British Photographers'.